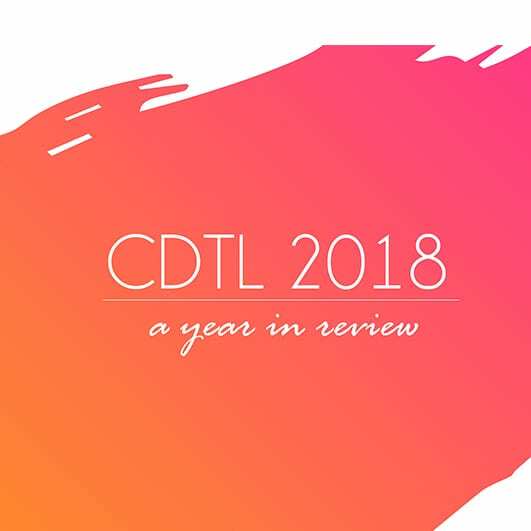 2018 had been a productive year for CDTL, in which many exciting events and fruitful teaching and learning conversations had taken place. In this e-publication, we look back on key events and developments that have occurred in CDTL in the past year. Click on the image above or this link for more details. We have also prepared a schedule of upcoming sessions at CDTL which cover various teaching and learning topics, including developing a teaching portfolio, preparing an education grant proposal, and developing rubrics to assess students’ learning. The full schedule for January to July 2019 can be found here. Copyright © 2019 Centre for Development of Teaching and Learning.